Over the past couple of months, Trustlook Mobile Security has published a lot of research (here and here) about ADUPS spyware. It is no surprise we have received many inquiries about the latest ADUPS security vulnerability involving the Barnes & Noble Nook 7. You may or may not know that the $50 Barnes & Noble device was shipping with Adups backdoor-planting firmware preinstalled. 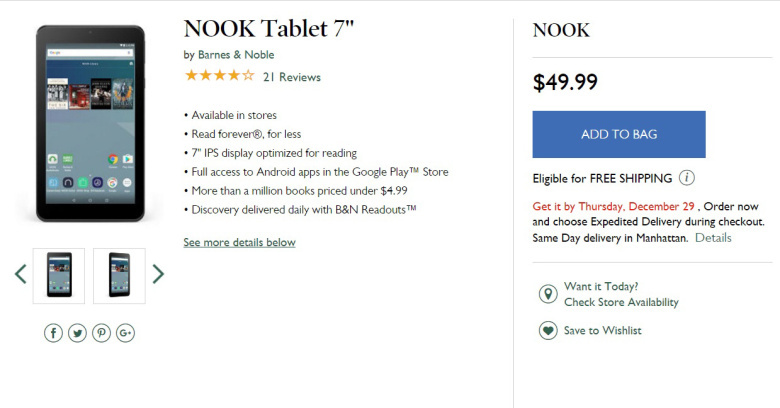 We are happy to announce that Barnes and Noble has got a fix. The company has also issued the following statement regarding the issue. Whew! To think that you could have been sending your most private information to servers in China while you were reading your favorite novel was quite concerning.